The features and amenities at Twin Creeks Crossing differentiate our apartments from others in the area. Here, the amenities turn our apartments into homes. With modern details come comfort, convenience and the personalization you desire to live a better life in Allen, TX. Stretch out in one of our spacious floor plans. Foodies and amateur chefs alike appreciate the gourmet-style features we’ve added to our luxurious kitchens. Granite countertops, custom cabinetry and stainless steel, energy efficient appliances make our kitchens one of the most sought after features of our beautiful apartment homes. We offer more than stunning kitchens. Washer/dryer connections, walk-in closets, hardwood-like floors, smart locks and thermostats and air conditioning are attractive features that draw residents into our contemporary apartments. 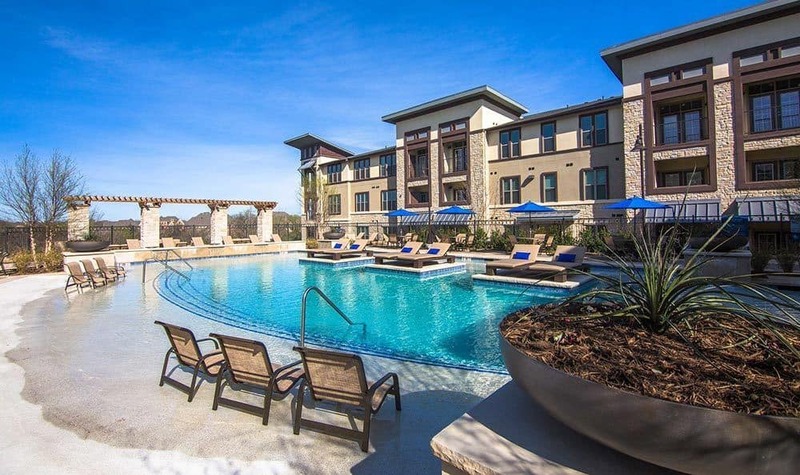 At Twin Creeks Crossing, our community amenities allow you to connect and recharge. Connect with your neighbors at our sparkling resort-style swimming pool with sundeck or in the clubhouse. WiFi availability in common areas lets Twin Creeks residents stay connected to the outside world, as well as with their friends and neighbors in the community. Recharge in the state-of-the-art fitness center where you can sweat out the stresses of your day and energize your body and mind.